The farming simulation genre is a weird one. 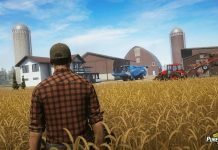 You’ve got your super-realistic Farming Simulator and Real Farming, putting you behind the wheel of branded combine harvesters and tractors, going through all the motions of harvesting your crops. Then there’s the more fantastical titles like Stardew Valley, where mining rare gems deep in a mysterious cave is the true key to success. And somewhere in the middle of that lies Farm Together, a simplistic yet charming game about planting crops, looking after animals, and growing a wee farm into a harvesting empire. It’s cute and stress-free, and while it has some less than perfect elements, it’s keeping me coming back, evening after evening. Farm Together starts you out with a fairly small plot and a modest amount of money. 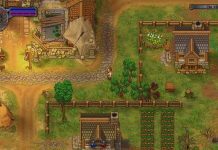 There’s a basic tutorial, which will walk you through how to plant and harvest crops, how to sell your produce and how to buy items for your farm. There are tasks to work towards – harvest 20 lettuces; pick 10 apples from trees, that kind of thing. But there’s no overarching goal or end point. 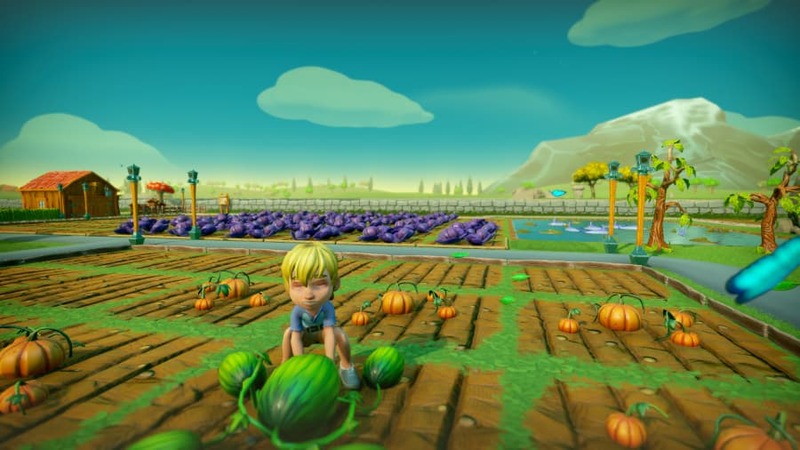 Farm Together is simply your playpen. Design your farm however you want it, expanding it as you go along. Your only barrier is how much money you have – and that’s where things get a little tricky. 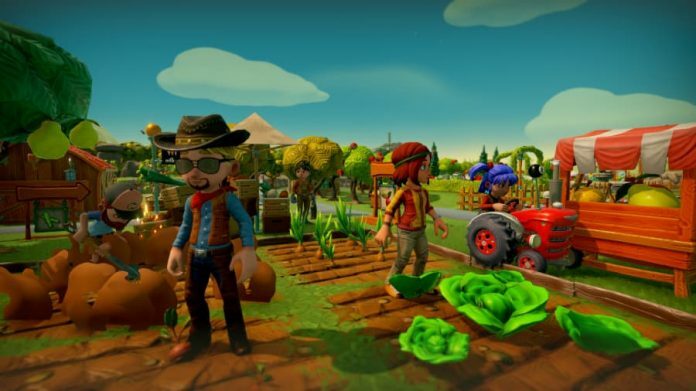 Despite not having any microtransactions, Farm Together has a lot of elements that make it feel like a typical pay-to-win mobile game. For starters, your crops have real-world timers on them, the most lucrative of which will take two actual days to mature. More than that later. You also have four different types of currency: coins, gems, medals and tickets. Now, after a good 10 hours or so with the game, I still don’t know what a ticket is used for, and I only have one or two medals. Coins are earned for harvesting crops, and gems are earned for selling produce and completing tasks. Both are important in growing your farm: coins will buy seeds to plant, animals to raise and all the basics you need to keep your farm ticking over. Gems are used to buy decorations and functional structures for your farm, for instance a barn that allows you to expand your crop storage, or stalls that allow you to sell a variety of produce. It all feels a bit unnecessary, and I can’t help but think that the gems and medals were added with a “premium” currency model in mind. It would have made much more sense to have everything unified with the simple coin. 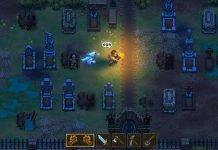 It’s hard to keep track of what actions earn what currency, and since gems are needed to decorate and accessorise your farm – fences, pathways, etc. – it takes some time to earn enough to really feel like you can make your mark. The real-time crop timers are a hindrance, too. 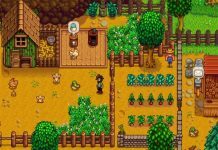 While in the likes of Stardew Valley your crops will mature based on in-game days, in Farm Together you’re at the mercy of actual time. Sure, there are crops you can plant that’ll be ready in 10 minutes, but the earnings are low and it makes for a laborious gameplay loop. Anything worthwhile takes at least several hours, and in some cases, multiple days. You have the option of watering your planets a few times during their growth cycle, each time knocking a small amount of time from its timer, but it’s never enough to really make a difference. It’s hard, then, to sit down with Farm Together for an extended play session. If you build up enough of the various currencies, you may be able to spend a solid hour or two decorating your plot of land. But unless you plan on twiddling your thumbs a lot while you wait for stuff to grow, for the most part, it’s a game you’ll only be able to dip in for short, 20 minute bursts. It’s not necessarily a bad thing, and perhaps that’s exactly how developer Milkstone Studios has intended it to be. But it’s something we’re not used to seeing in console gaming; it’s very much a feature of mobile games, where it’s easier to just log into an app several times a day while going about your business. I don’t know about you, but when I’m sitting down in front of my Xbox One for the evening, I want a game I can get comfortable with for at least an hour or two. Sure, I’ve got into the habit of jumping into Farm Together for a short session before playing anything else, but it’s always a shame to have to turn it off because there’s nothing left to do. Farm Together also lets you build a house for your character, which you can supposedly decorate and furnish however you like, adding a more Sims-like element to the game. Unlocking a house is laborious, though. You need 15,000 coins to buy a treehouse – which is fairly easy to raise after harvesting a few fields of good crops. But I foolishly assumed that buying it would be it. Oh no, you have to wait for it to be built first. Initially, it had a 24-hour timer. So, returning to the game the next day, I was excited to see what my treehouse would hold. Foiled again; turns out that first 24-hour timer was just to build one quarter of the treehouse, which is frankly ridiculous. 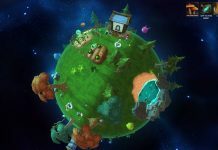 The name Farm Together comes from the game’s online community elements. The idea is that anyone can jump into anyone else’s farm, co-operating with each other on planting and harvesting. It seems like a nice idea in principle, but in all the times I’ve been playing it, I haven’t seen anyone online. The game list remains empty whenever I search, and despite leaving my farm open for anyone to drop in on, it’s never happened. So I can’t comment on the game’s cooperative features. 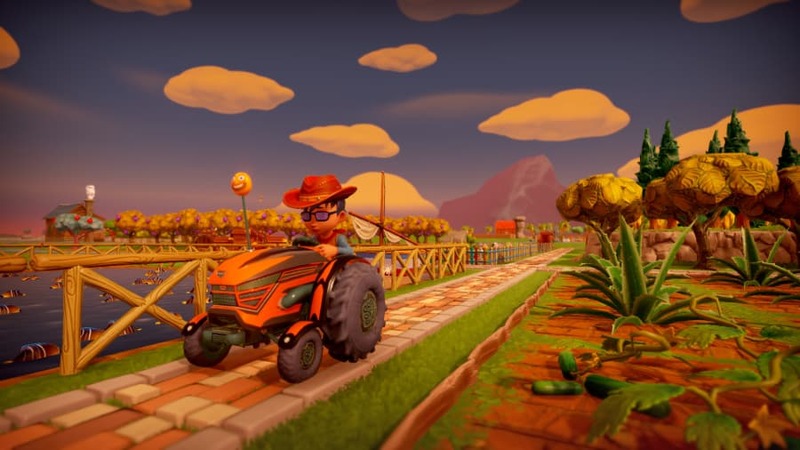 It’s not entirely Milkstone Studios’ fault that not enough people are playing it, but with a name like ‘Farm Together’ it was clearly designed as a key part of the experience. It’s fully playable in single player, but it’s a shame that’s really your only option. 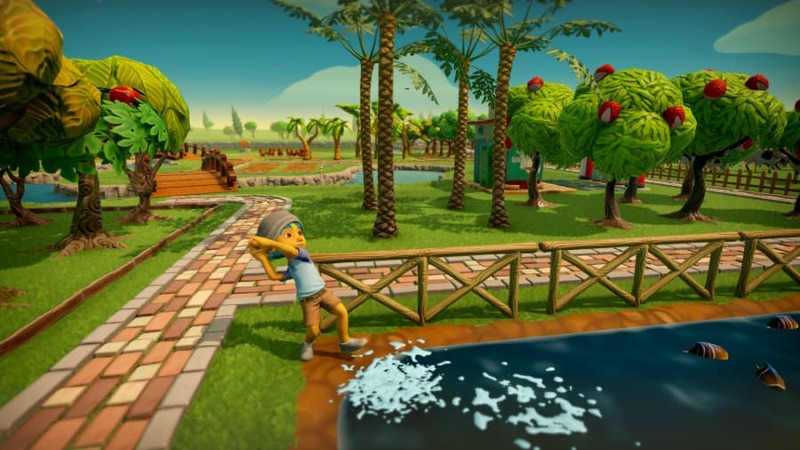 As far as easy-going farming simulators go, Farm Together has a lot of potential. It’s surprisingly nice looking, and it’s easy enough to get to grips with. There are no overly complex controls, and the freedom to design your farm exactly how you’d like is a great touch. It’s just unfortunate that the game is held back by some frankly baffling design choices. 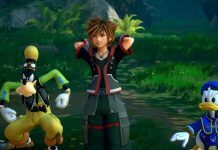 It feels like it was designed with microtransactions in mind, with real-world timers and multiple forms of currency making little sense on a console game. It’s also a shame that the key facet of the game – the ability to farm together – is pretty much impossible thanks to the low player base. If it wasn’t for its mobile gaming elements, Farm Together would be easy to recommend. As it is, it’s a fun game to play in short bursts, but there’s no overlooking its bewildering design choices. Farm Together is available on PC, Xbox One and Nintendo Switch. We reviewed the Xbox One version.